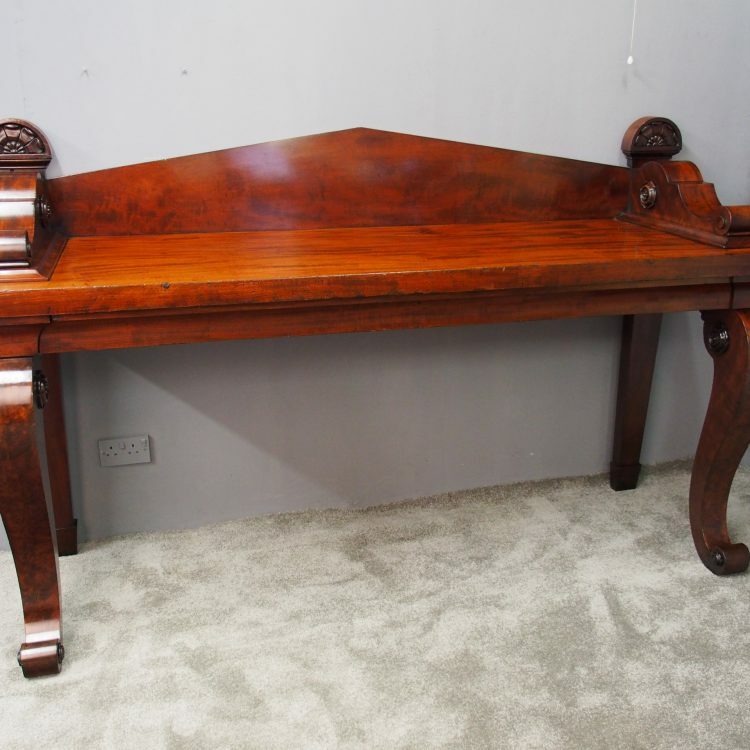 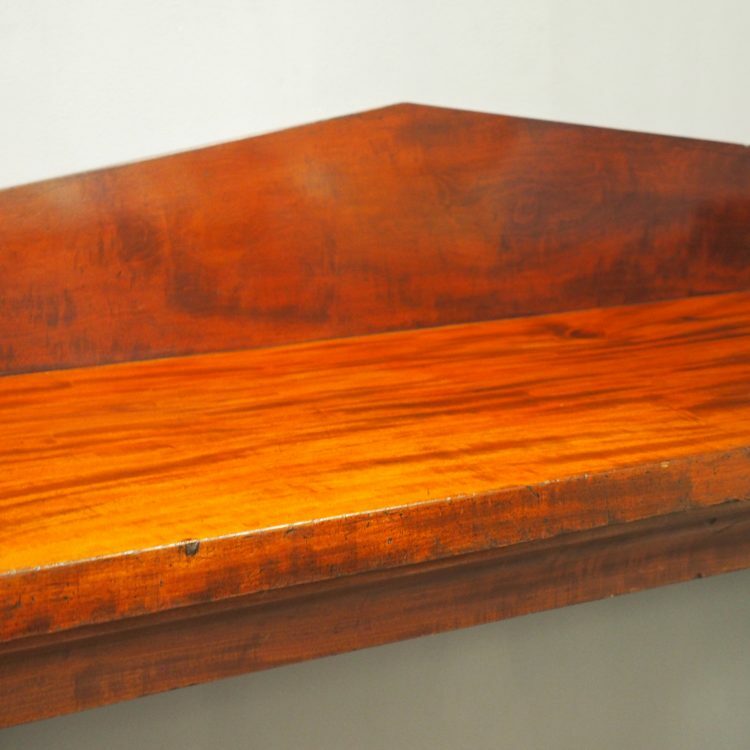 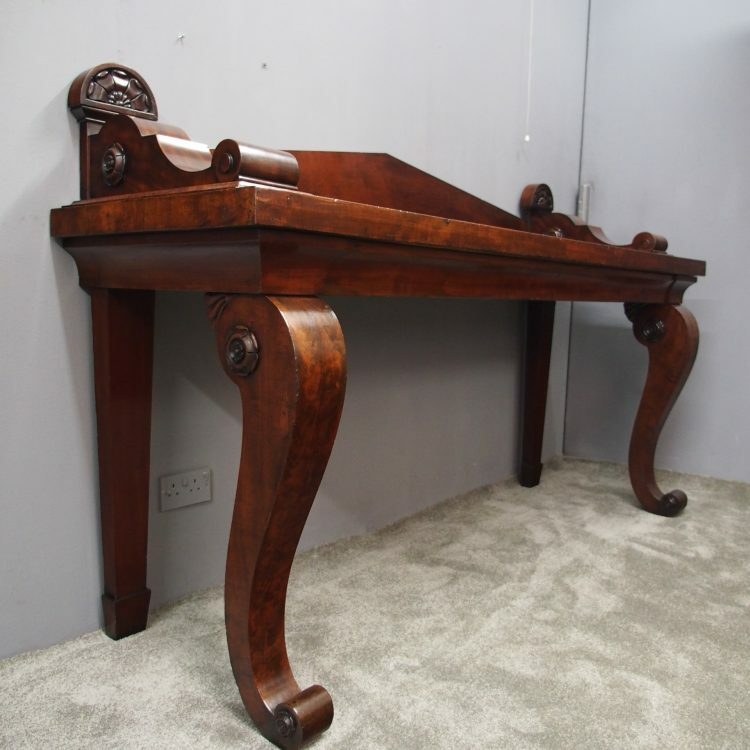 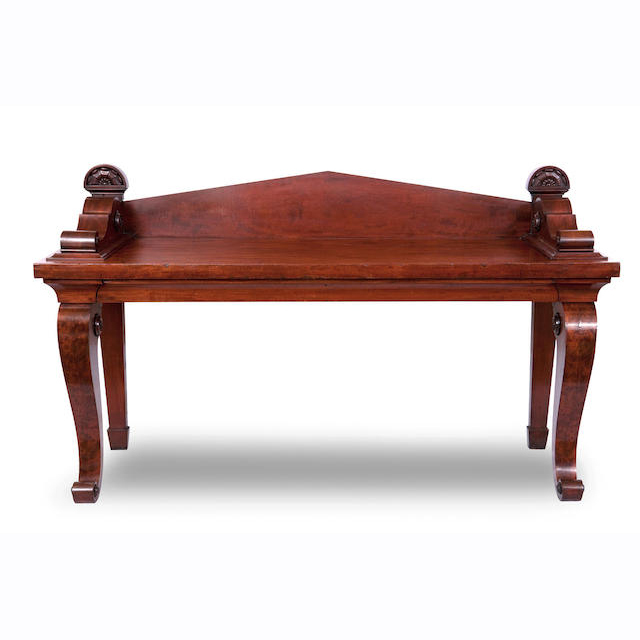 Circa 1830, large Scottish mahogany serving table in the manner of James Mein of Kelso. 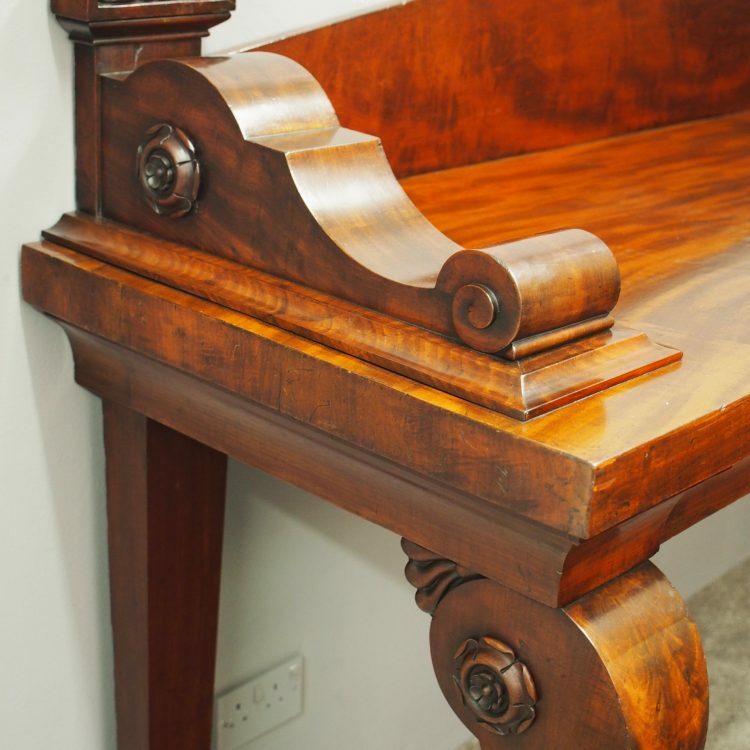 With an angular back, three quarter wrap around gallery with carved flower heads to the outside. 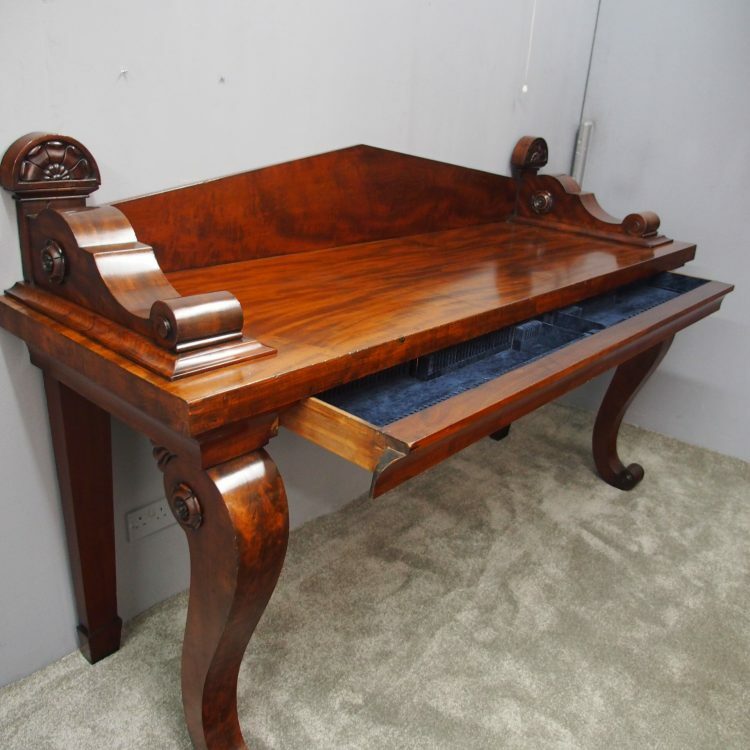 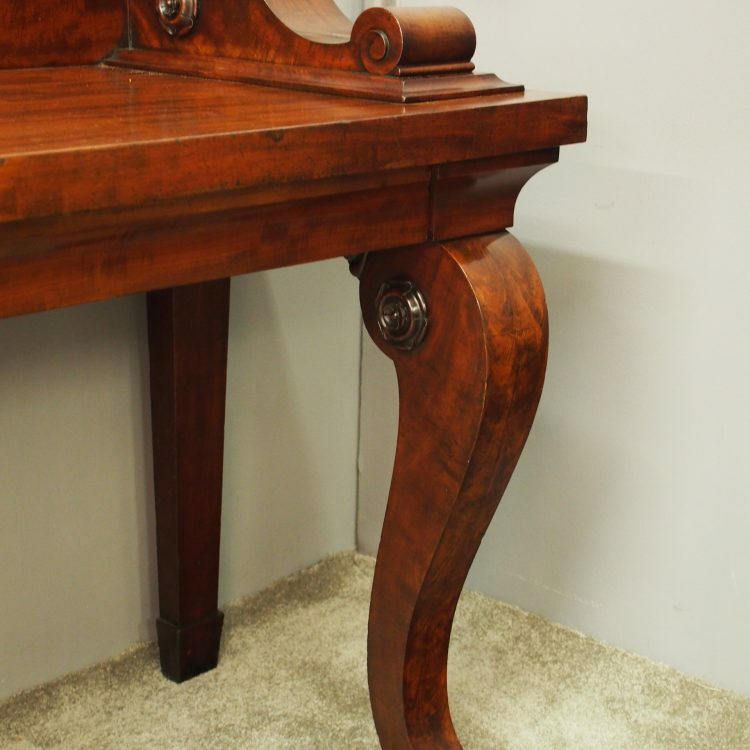 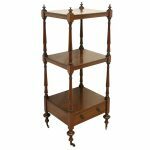 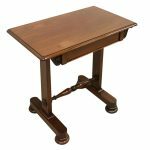 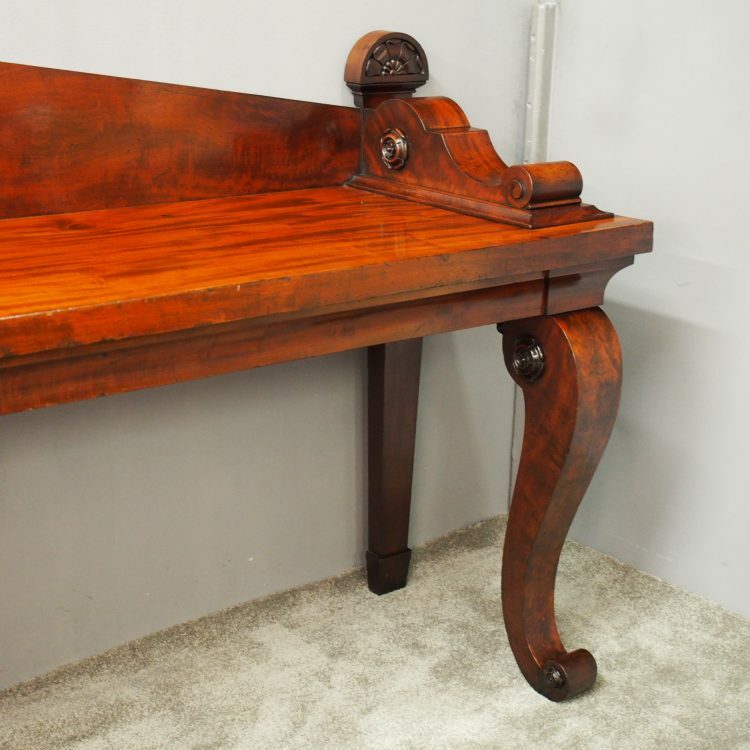 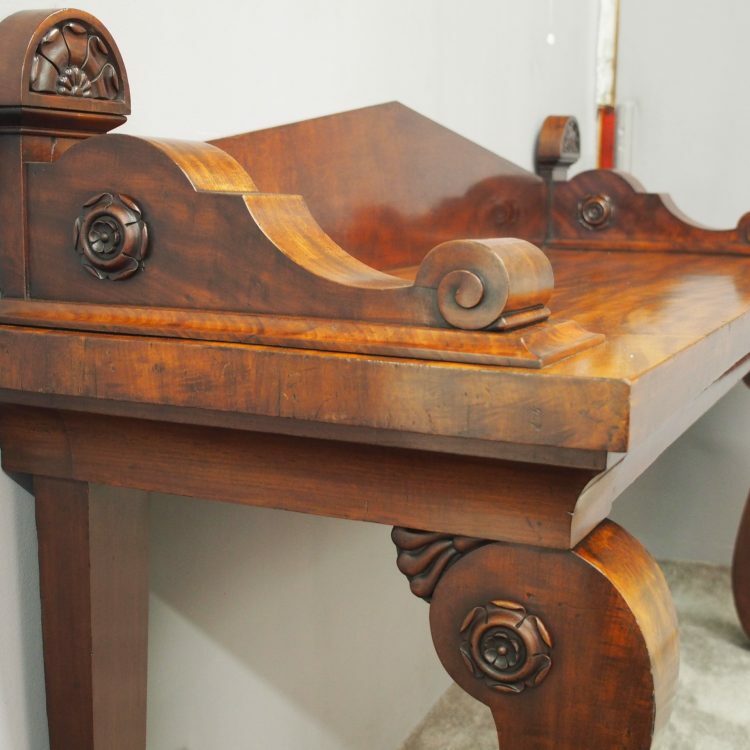 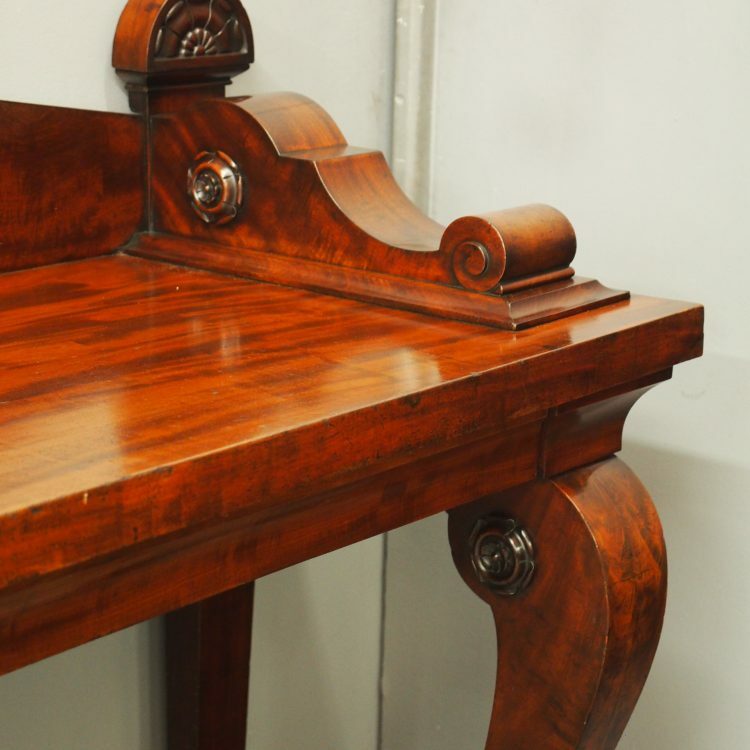 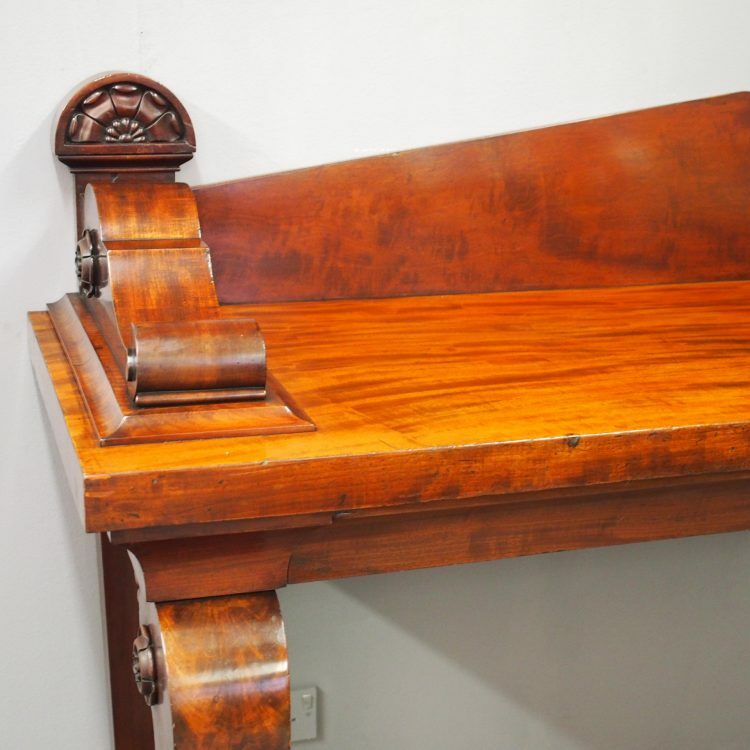 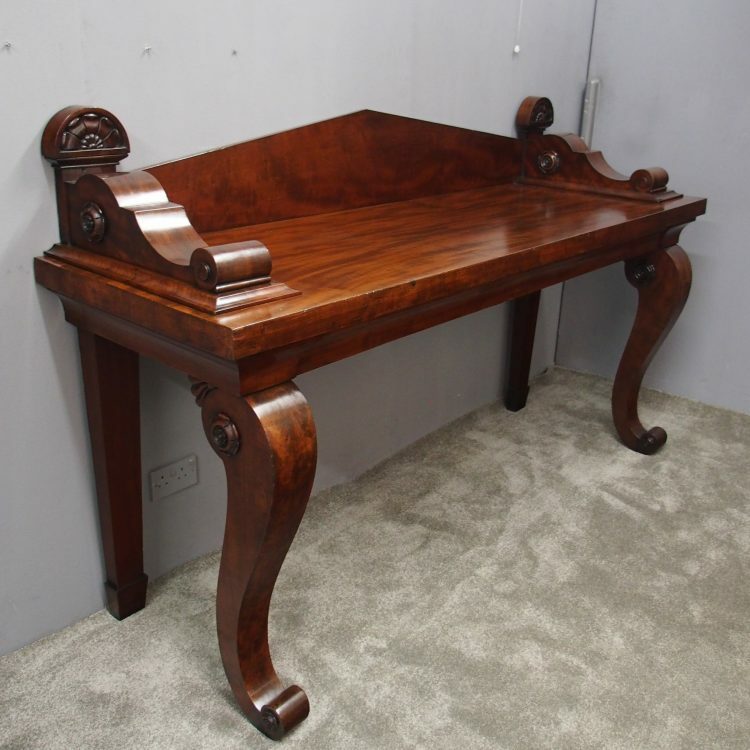 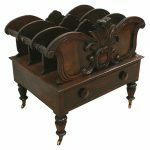 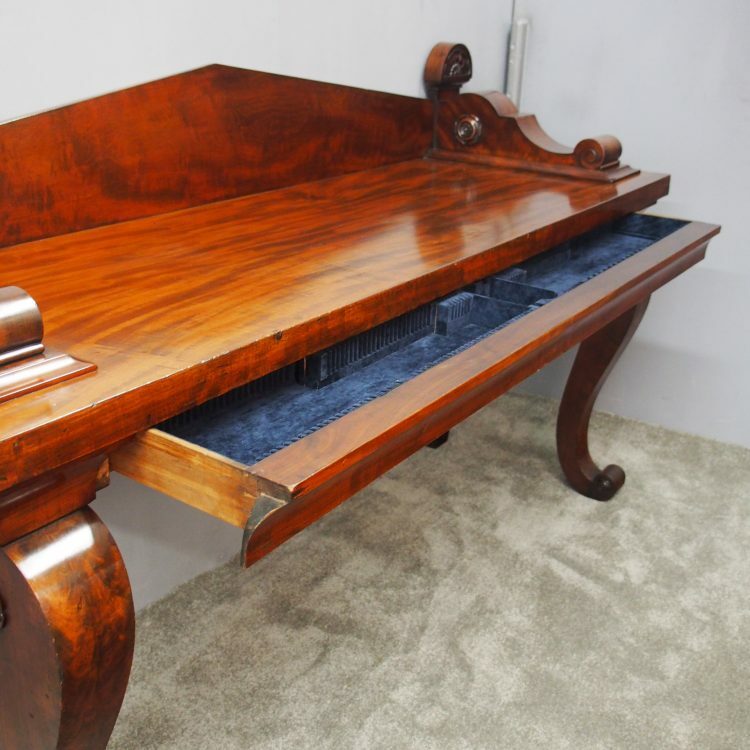 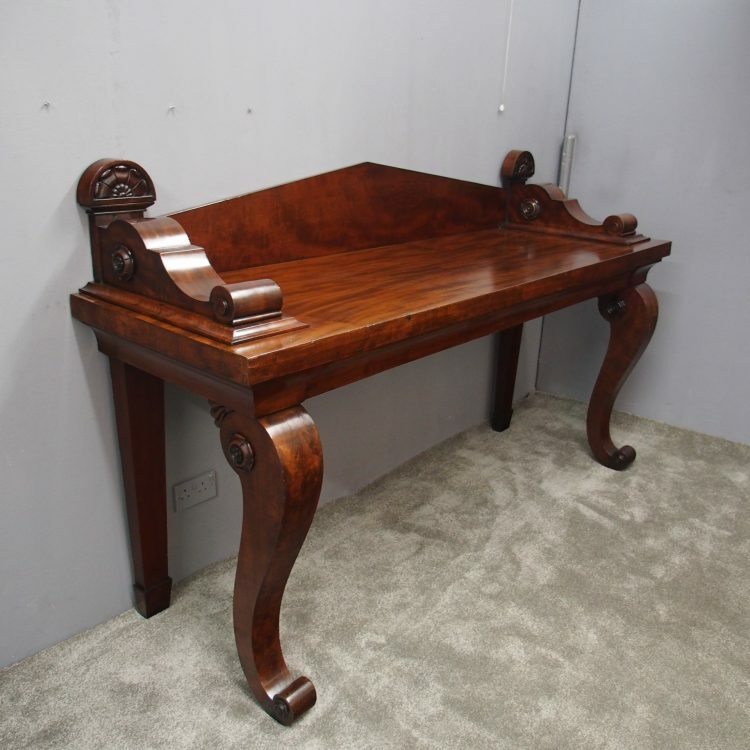 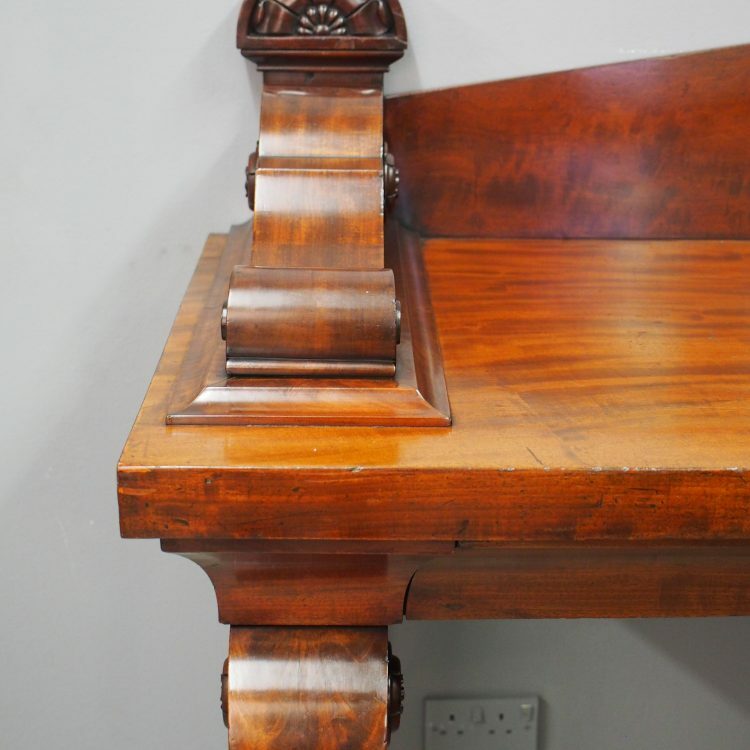 It has an ogee drawer to the moulding, which has been fitted for cutlery, and square, tapering back legs and scrolling front feet with flame mahogany veneers.